Victory Venkatesh’s daughter wedding took place on the early hours of Sunday in a grand manner. Venkatesh’s daughter Ashritha tied the knot with her longtime boyfriend in a grand wedding event that took place in Rajasthan. Very few invites were sent for the event and Salman Khan is one among those who made it to the event. 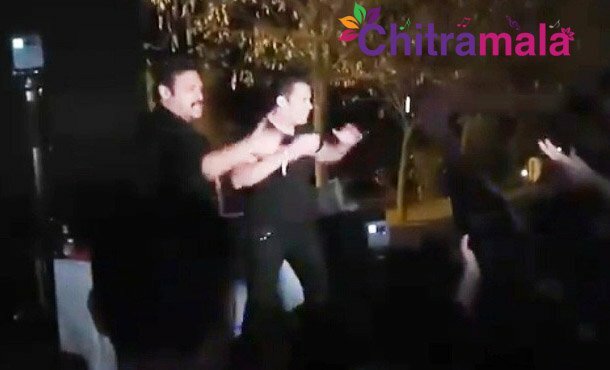 Salman Khan attended the pre-wedding festivities, Sangeeth, and the wedding event. The guests who attended the event were very much impressed with Salman Khan dancing on the stage along with Venkatesh. Both the senior heroes of Indian film industry danced along with Venky for his popular song Jumme Ki Raat from Kick. The video of the same is trending viral on social media. At the same time, Rana Daggubati too joined both of them on the stage for a few moments. A grand reception is expected to be thrown to the guests in Hyderabad soon.